At Gary Martin Hays & Associates, we understand how to fight insurance companies that try to take advantage of car accident victims. If you have questions, we're ready to answer them-and we're fully ready to take aggressive action on your behalf. Call 1-800-898-HAYS today. Many people probably realize that most cars that get repaired after Georgia accidents are paid for at least in part by proceeds from an insurance policy (either the driver's or the at-fault party's policy). What many people are not aware of, however, is that accident victims may be entitled to additional compensation through insurance policies. Georgia auto insurance policies may entitle a claimant to compensation not only for repair costs, but also for the diminished value of their vehicles after repair. 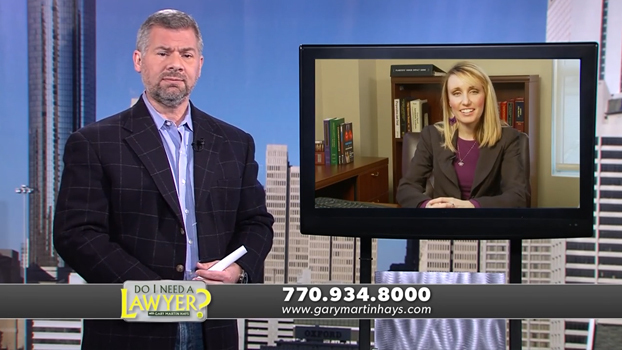 In this video, lawyer Gary Martin Hays reveals what insurance companies aren't telling you about your car's diminished value after an accident. Based on the ruling of a state Supreme Court case, State Farm Mut. Auto. Ins. Co. v. Mabry (274 Ga. 498), the court stated that an insurance company's obligation to pay for loss includes the duty to pay for the vehicle's lost value. Even if the car is brought back to its original condition, the fact that it was involved in an accident diminishes its resale value regardless of how the repairs make it look or operate. This difference in re-sale price is referred to as "diminished value," and insurance companies are obligated to compensate a vehicle owner for that amount. This applies whether you make a demand for payment with your own insurance company (a "first party" claim) or with the insurance company of the person at fault for the accident (a "third party" claim). If you think the offer you have received to have your car repaired and cover the cost of diminished value is not adequate, call our office today for a free consultation. Call now at 1-800-898-HAYS or contact us via email: the initial consultation is free. Who Pays For Car Accident Compensation In Georgia?